Following the deaths of at least 400 civilians over the past year in Cameroon's Anglophone regions, an Anglophone community conference scheduled for 21 and 22 November 2018 could offer a decisive breakthrough. To succeed, international powers should encourage buy-in from separatist and government leaders alike. International Crisis Group commends the initiative of four religious leaders (from the Catholic Church, the Presbyterian Church and the Central Mosques of Bamenda and Buea) to organise an Anglophone General Conference in Buea, a city in Cameroon's Southwest region. In April 2018, Crisis Group proposed the Catholic Church as a potential mediator in the ongoing conflict in the Anglophone regions (Northwest and Southwest). On 25 July, Cardinal emeritus Christian Tumi announced that this conference would take place on 29 and 30 August 2018. The organisers later postponed it to 21 and 22 November. This delay is welcome as it allows for better preparation and could help ensure that all parties concerned participate. Holding a productive conference requires government authorisation and support. Although the government has not officially rejected the proposal, its spokesperson has questioned Cardinal Tumi's impartiality and rejected the confidence-building measures the organisers have proposed, notably a ceasefire, the release of Anglophone militants and the participation of separatists. This attitude reflects the government's reliance on military force and its hope of wiping out armed groups before the election. 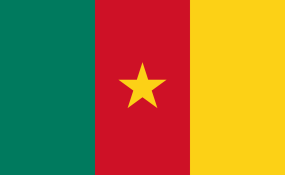 In addition to stepping up security, Yaoundé has, over the past few months, encouraged the creation of pro-government "self-defence" militias and fuelled divisions between Anglophones of the Northwest and those of the Southwest with the goal of driving a wedge between the Anglophone population and the separatists. The most cynical officials see no interest in holding elections in the Anglophone regions, which have always been an opposition stronghold. The support that France has recently shown to President Biya has reinforced his perception that this approach is effective. Such a posture is counterproductive. Prohibiting the conference or obstructing its smooth running would damage the government's image both at home and abroad, reinforce the view that it opposes dialogue and bolster the credibility of separatists and armed groups in the eyes of the Anglophone population and international partners. In the longer term, blocking the conference, repressing separatists and incarcerating more moderate Anglophones risks preparing the ground for a devastating civil war that would threaten the entire country's stability and the government's own survival. Attacks since last July in Francophone West and Littoral regions and separatists' demands and threats that Francophones leave Anglophone regions underscore this risk. The security apparatus is already under pressure as defections of soldiers increase in Anglophone areas, with more than twenty defectors joining separatist groups. However, it is in the separatist leaders' interest to take part. Refusing to do so could tarnish them, in the eyes of international actors, as hostile to dialogue and a peaceful settlement of the conflict. They could also lose the sympathy of the population. Like the government, separatists risk dragging the country into a civil war that neither side would win and which would cause enormous civilian suffering. In contrast, attending the conference could allow them to begin negotiating an amnesty. If they obtain the release of Anglophone militants, or at least the main leaders, they would gain more credibility among Anglophones. In return, they would have to commit to respecting a ceasefire as conference organisers request. For the conference to take place successfully, the government and separatist leaders must first moderate their positions. If they refuse to do so, Cameroon's international partners should pressure the two parties. Non-separatist Anglophone leaders should throw their weight more forcefully behind the initiative. The conference organisers should immediately start direct negotiations with the government, separatist groups and other Anglophone activists. If possible, they should involve Cameroon's international partners. Cardinal Tumi and his team should make arrangements for the various parties to attend, for example, by ensuring that representatives of Anglophone activists in the diaspora can return to Cameroon. They should also involve the National Episcopal Conference of Cameroon and Anglophone bishops throughout the process. Secondly, if the government authorises the conference, the organisers will need to prepare a format that enables productive discussions. Their plan to involve all components of Anglophone society is commendable in that it would give more legitimacy to the conference's resolutions and to the individuals chosen to represent Anglophones at a prospective national dialogue. But organisers should factor in that broad participation will complicate decision-making and create space for smaller group discussions in order to reach consensus on key issues. The conference is an opportunity for Anglophone civil society, elected representatives, pro-federalism leaders and proponents of decentralisation to be heard. Although most of them favour the conference, they have yet to express strong support. They should assume greater responsibility for mobilising the Anglophone population to promote the conference. Cameroon's international partners, notably the U.S., France, the European Union, the Vatican and the African Union, should support the conference as a potential first step toward a peaceful settlement of the conflict. To this end, they could clearly state that any obstruction or refusal to participate in the conference could lead to sanctions against any individuals hindering peace, whether government or separatist, and a reappraisal of security cooperation with Cameroon. Such measures would in any case already be justified by the abuses both sides have committed against civilians.